A First for the Essex Austin Seven Club- Model car race night. Members were given some rules for their models – Maximum length 12 inches, width 6 inches, weight limit 8oz. No metal in the construction, no use of 3D printers!, so only wood, plastic, paper,card, glue, tape to be used.On the night – 25 homemade models appeared in various guises, shapes and lengths. All scrutinised to ensure they were within the weight and length limits. A metal detector was even used. A purpose built starting ramp was used with a customised launch pad so that each model was released at the same speed. After all the models had run down the ramp, the top 10 with the longest distance travelled were then run down the ramp again after owners had given them some tweeks!. At the end of this run, winners were announced. Joint 4th Goodrum Van and the Blue Ulster. 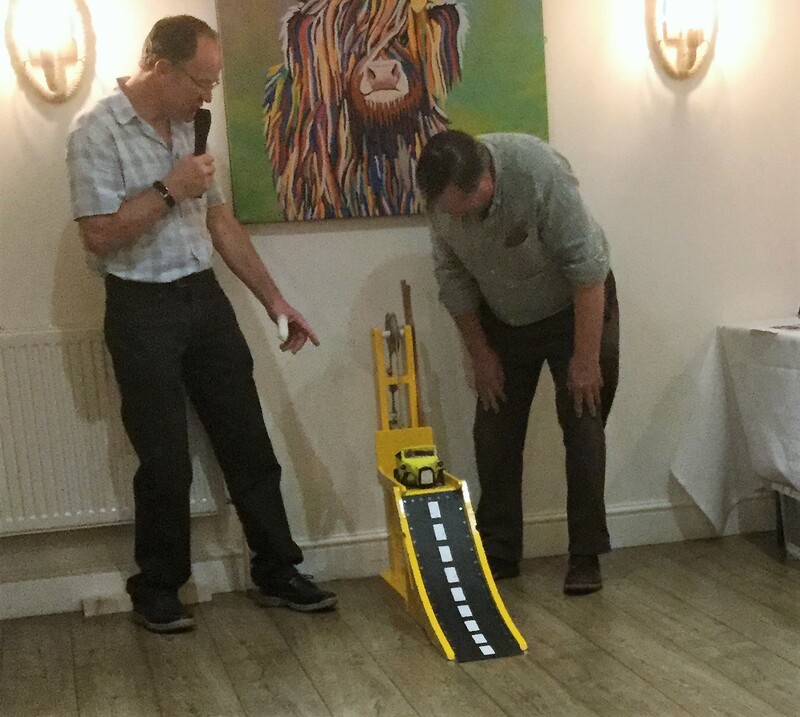 A successful evening which brought the creative and competitiveness of members to the fore.